Archive for the ‘Smiths Falls’ Category. WEDNESDAY, January 23, 2019 at either 2:00 or 7:00, FULL CIRCLE THEATRE, PERTH or THURSDAY, January 24, 2019 at either 2:00 or 7:00, STATION THEATRE, SMITHS FALLS. 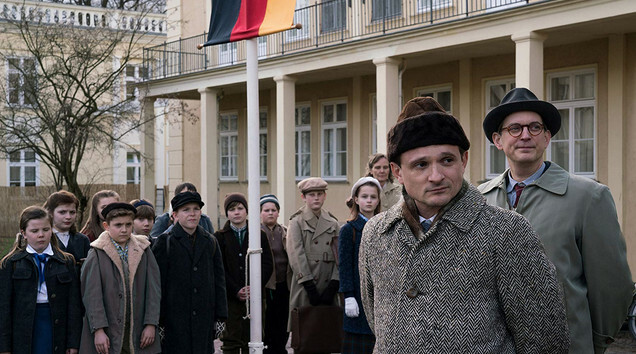 A group of idealistic twelfth-grade pupils in East Germany in 1956 decide to show their solidarity with the victims of the 1956 Hungarian uprising against the country’s communist regime and Soviet military. Based on a true story. The one and only PERTH AUTUMN STUDIO TOUR returns to Perth this Thanksgiving weekend, Saturday, Sunday and Monday October 6, 7 and 8, 2018. Eight inspiring studios, 33 makers, craftspeople and artists – many of whom are new! Studios are open daily 10am to 5pm. Visit the website for complete details and a downloadable map or call Riverguild Fine Crafts. 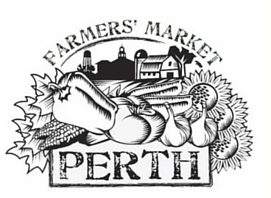 The PERTH FARMERS’ MARKET opens for business on Saturday, May 12th, 2018. 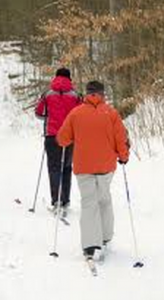 It operates from 8am to 1pm, every Saturday between Mother’s Day and Thanksgiving weekends. 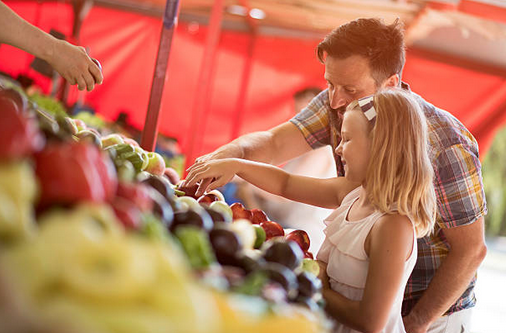 Vendors will have local, organic and in-season fruit and vegetables, , as well as flowers and bedding plants, honey, maple syrup, preserves, baking, ready-to-eat food items and freezer meat. Crafters will provide a variety of local, handmade items inside the Palace. Enjoy breakfast in the Basin beside the Tay River. Entertainment on special weekends. Did Edward VIII really marry a small-town Ontario schoolteacher in 1919? There is a roadside graveyard near Galt, Ontario, part of what is now the municipality of Cambridge, on the Grand River near Waterloo. The cemetery is like hundreds of burial grounds in rural Ontario — hushed, historic, fascinating. But this particular site holds a clue, literally etched in stone, to a hundred-year-old mystery. The Chambers 2018 Annual Awards Gala is on October 18th at Codes Mill.This year’s entertainer is Kevin Smith. The theme is Mardi Gras and will begin at 5pm with Social Hour. The Annual Dinner & Awards Gala highlights the achievements and growth that has been exhibited by local business owners. On Friday, October 19th, 2018 from 7:30-9:30 in the Mason Theatre at P&DCI. The 1931 Universal Studio’s “Frankenstein” starring Boris Karloff was produced without a musical background. American composer Michael Shapiro wrote a 70-minute score which will be performed under the dialogue of the film, by the RIDEAU LAKES ORCHESTRA. For modern day movie goers, Shapiro’s haunting music makes a significant impact by adding more emotion to an already dramatic film. The Ontario premiere of FRANKENSTEIN: It’s Alive…..With Orchestra! Doors open at 6:45pm, tickets available only at the door, Adults $20, students 17 and under $12. 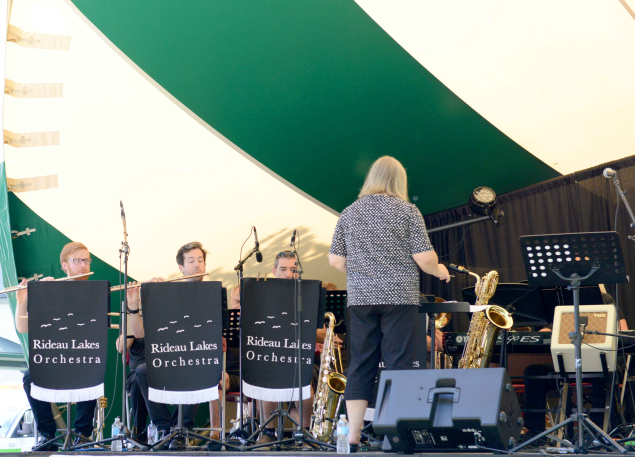 The Rideau Lakes Orchestra, formerly known as Symphonium, has a strong connection with Perth and its area, having performed at the Stewart Park Festival, St Paul’s Church and local high schools. Members of the orchestra hail from Perth and the Ottawa Valley. They are professional musicians, each with a wide range of experience performing in orchestras, military bands and chamber groups. 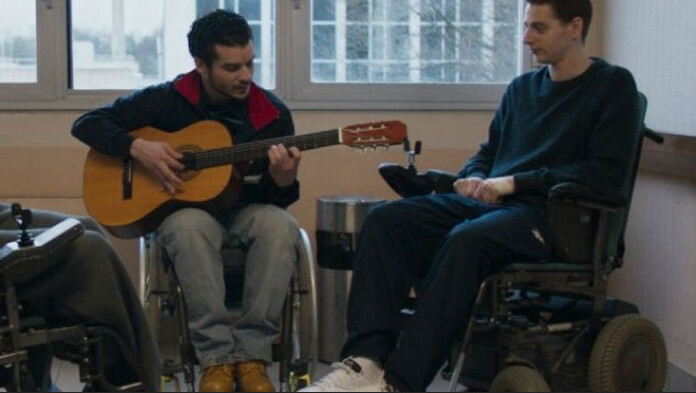 Using both acoustic and electronic instruments, the RLO plays a repertoire as distinctive as its instrumentation. The RLO performed its very first concert at St. James Anglican Church on April 17, 2016. 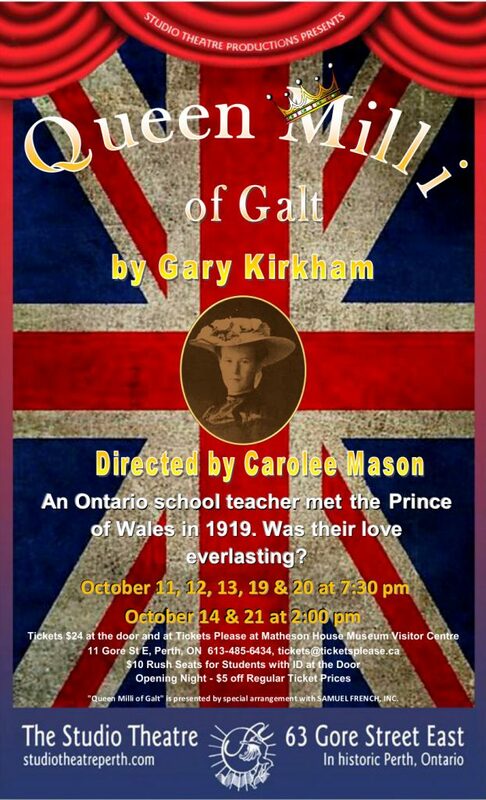 WEDNESDAY, October 24, 2018 at either 2:00 or 7:00, FULL CIRCLE THEATRE, PERTH or THURSDAY, October 25, 2018 at either 2:00 or 7:00, STATION THEATRE, SMITHS FALLS. In today’s Beirut, a civilian dispute blown out of proportion finds a Lebanese Christian, and a Palestinian refugee, facing off in court. As the media circus surrounding the case threatens a social explosion in divided Lebanon, the two men reconsider their values and beliefs as revelations of trauma complicate their understanding of one another. 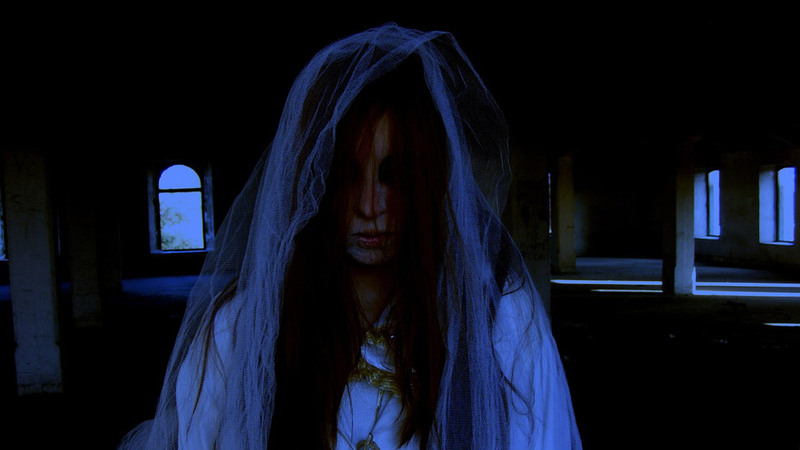 Hosted by the Perth Museum, the ANNUAL PERTH GHOST WALK takes place on two nights: Thursday and Friday, October 25th and 26th, 2018. The Walk begins at 7pm at the Perth Museum (11 Gore St. East), and makes it way through the streets of Perth with Host Susan McDougall. Only 75 tickets per night – get yours before they sell out! Tickets can be reserved by calling the Perth Museum at 613-267-1947. Tickets are $10 per adult and $5 per child (Max $25 per family, HST included). Proceeds from this evening will go towards support of the Perth Museum. The walk begins at the Perth Museum and makes its way through the streets of Perth with host Susan McDougall. Proceeds to the Museum. 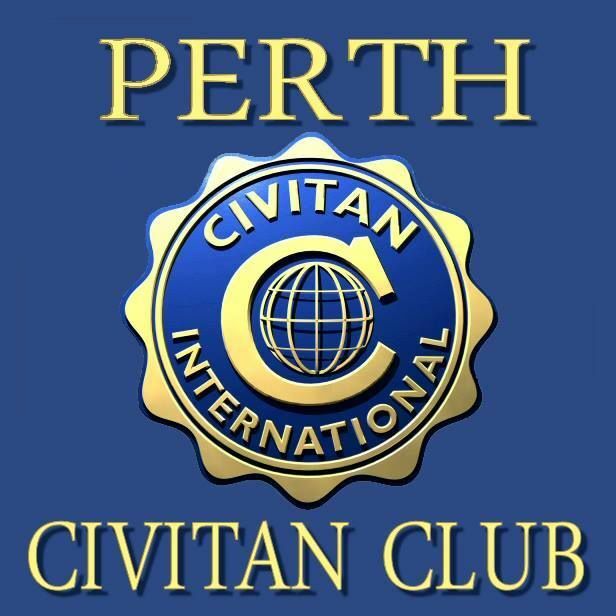 The Perth Civitan Club will be hosting a Stampede Steak-Out and Hometown Hero Award evening on October 27, 2018. Elvis impersonator, Stephen Goodberry and wife, Debra Currier will be the entertainment; ’50s and ’60s costumes encouraged. Proceeds to GWMH Foundation. Adults | Free. Corner of Halton & Arthur Streets – Perth Fairgrounds. On Sunday, May 6th, 2018 rain or shine, it’s time to HIKE for Lanark County’s Hospice Palliative Care Services! Hike to support Hospice Palliative Care Services provided by Community Home Support Lanark County and Perth & Smiths Falls District Hospital. All of the services are intended to give people with life-limiting or terminal illnesses the chance to be cared for at home or in hospital, in comfort and dignity. 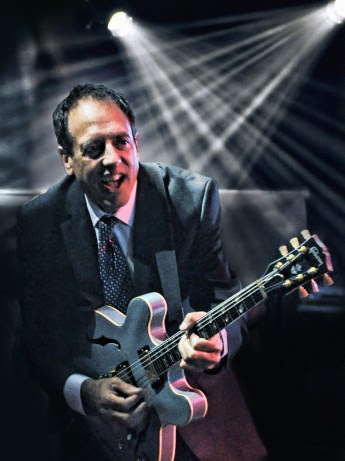 Silent Auction, BBQ, music by Henry Norwood.100% of all funds raised stay in our community! 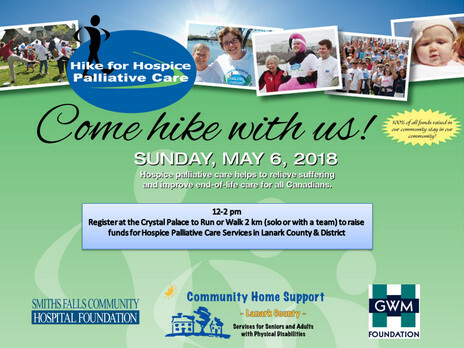 Register at the Crystal Palace to run or walk 2km (solo or with a team) to raise funds for Hospice Palliative Care Services in Lanark County (noon to 2pm). Follow us on Facebook as we provide more information about the Hike for Hospice and share stories of the clients and volunteers supported by these services. Volunteer Hospice Visiting Service – Provides trained volunteers to spend time with people living with a life-limiting illness to provide companionship and relieve family. Day Hospice Program – Provides individuals like Frank and Dan with life-threatening illnesses the opportunity to participate in social/recreational activities and enjoy a meal in a supportive environment. 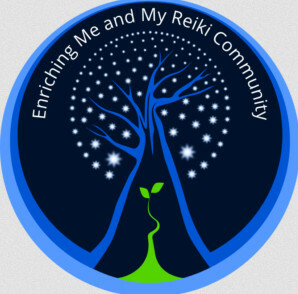 Enriching Me and My Reiki Community Presents: “Finding & Building Your Inner Peace” This year’s conference will be in Perth, Ontario at the Historic Code’s Mill Inn on the Park. WEDNESDAY, May 9, 2018 at either 2:00 or 7:00 at FULL CIRCLE THEATRE, PERTH or THURSDAY, May 10, 2018 at either 2:00 or 7:00 at STATION THEATRE, SMITHS FALLS. 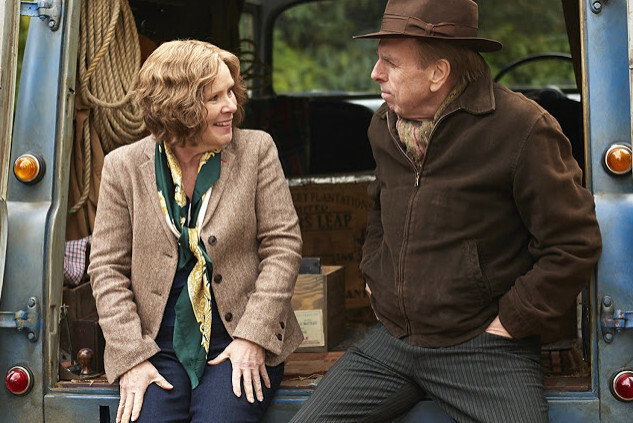 A seemingly honest doctor who has channeled his ambitions for a better life into his daughter and her dream of studying in England is driven to extremes in order to protect her future. Film Night International is a non-profit group run entirely by volunteers in partnership with the Film Circuit, a division of the Toronto International Film Festival Group that now has almost 200 locations across Canada screening independent films in communities that would otherwise not have the opportunity to see them. All Film Night International’s profits, after expenses, are donated to the Perth Public Library. 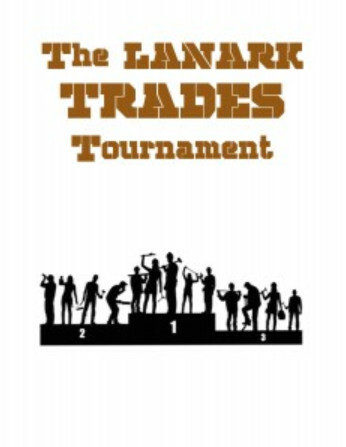 On Friday, May 11th, 2018 from 2pm-8pm, the Perth Enrichment Program hosts the 2nd Annual LANARK TRADESMAN TOURNAMENT being held at the Elliot Street Clinic (12 Elliot St., Perth). Attractions and events include a beer garden, hamburgers, hotdogs and non-alcohol beverages for sale during the entire event. Purchase tickets to participate in games including toilet seat horseshoes, xacto darts, ping pong, hand sawing, pole climbing, flooring puzzle, bull riding, bouncy castle and games for children, human hamster balls. Two teams will run head-to-head through a relay of events in a tag-team style (e.g., one team member completes the first event, then passes the baton to the next team member who completes the second event, then passes the baton to a third team member who completes the third, etc.) There will be a series of stations in which a team member is chosen to compete in the individual task. The top two teams will meet in the finals where each team will compete to build the best picnic table in the shortest time. This is a fundraiser for the Perth Enrichment Program. 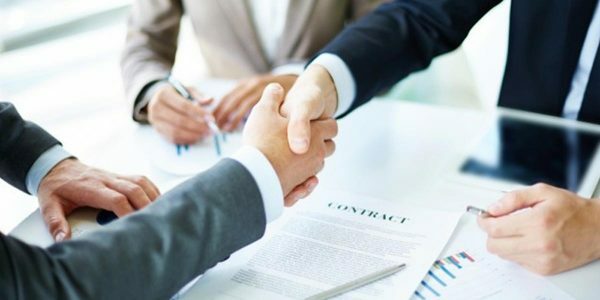 Teams are encouraged to dress in company attire. Victoria Day, also known as May Two-Four, May Long, and May Long Weekend, is a Canadian holiday on the Monday preceding May 25. As such, it is the Monday between the 18th to the 24th inclusive, and thus is always the penultimate Monday of May. The date is simultaneously that on which the current Canadian sovereign’s official birthday is recognized. For many people, the long Victoria Day weekend marks the end of the winter and the unofficial start of the spring or summer season. After this weekend, gardeners can be reasonably sure that there will be no more frost until the autumn so they can sow or plant out delicate crops and plants. Victoria Day is marked as a public holiday at a national level. Many people have a day off work and schools are closed. Queen Victoria was born on May 24, 1819. Following the death of 3 uncles and her father, she became Queen of the United Kingdom on June 20, 1837 and reigned until her death on January 22, 1901. During Victoria’s life, the British Empire expanded considerably. However, her powers as Queen of the United Kingdom were reduced as the House of Commons became more important and powerful in British politics. The holiday has been observed in Canada since at least 1845, originally falling on Victoria’s actual birthday (24 May 1819). It continues to be celebrated in various fashions across the country; the holiday has always been a distinctly Canadian observance. WEDNESDAY, May 23, 2018 at either 2:00 or 7:00 at FULL CIRCLE THEATRE, PERTH or THURSDAY, May 24, 2018 at either 2:00 or 7:00 at STATION THEATRE, SMITHS FALLS. When a woman discovers that her husband of forty years is having an affair with her best friend, she seeks refuge with her estranged, outspoken, serial dating, free-spirited sister. She is reluctantly dragged along to a community dance class, where gradually she starts finding her feet. Passes are available now at the Perth and District Union Public Library (for screenings in Perth) and at the Smiths Falls Public Library (for screenings in Smiths Falls). The price is $90 for all nine films. Individual tickets may be available at the door for $10 each. Pass holders should arrive at the theatre at least 15 minutes ahead of screening time to ensure a guaranteed seat. After that time, we will begin to sell individual tickets. 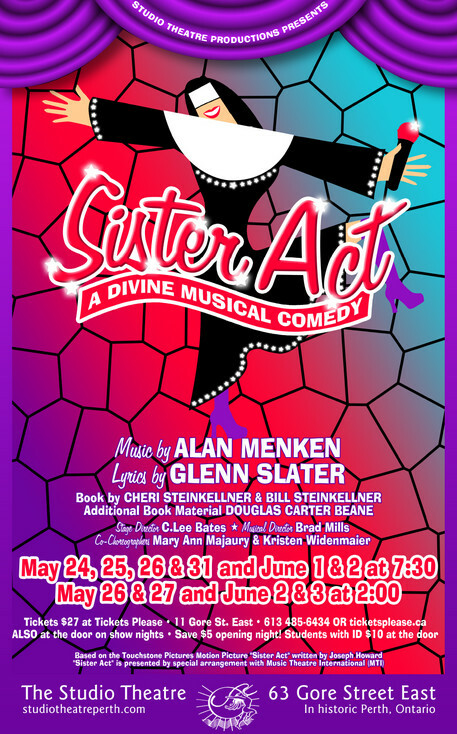 Sister Act, The Musical opens at the Studio Theatre on Thursday, May 24th for ten shows: May 24, 25, 26, 31, June 1, & 2 at 7:30 pm, and May 26 & 27 and June 2 & 3 at 2 pm. 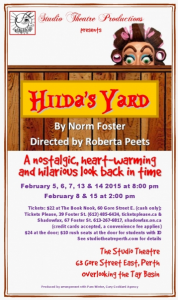 Tickets are $27 at Tickets Please, 11 Gore St. E. and at the door on show nights. Save $5 opening night. Students with ID $10 at the door. Perth Outfitters has welcomed the Perth, Smith Falls and Westport Chambers to participate in a Fundraising Event for Open Doors-Lanark Children and Youth. For the cost of ONLY $10 you get the use of mini-golf, kayaks, canoes, etc and a BBQ meal supplied by Open Doors. Register your mini-golf team today! Includes use of mini-putt, kayaks, canoes, etc. with a BBQ meal. Ten Mississippi Mills painters — The Ten Collective — are mounting the first exhibit of their work at a two-day show in the Mississippi Valley Textile Museum in Almonte on March 31 and April 1, 2018. The art show and sale by ten renowned Canadian artists will feature paintings in a variety of styles, including acrylic, oil, watercolour and mixed media. 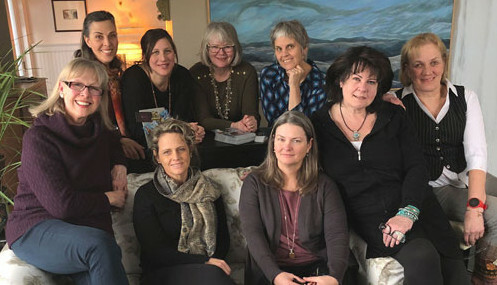 The Ten Collective artists are Amelia Ah You, Jill Halliday, Eileen Hennemann, Rosemary Leach, Marina Malvada, Katherine McNenly, Kaija Savinainen Mountain, Jennifer Noxon, Lily Swain and Nancy Young. 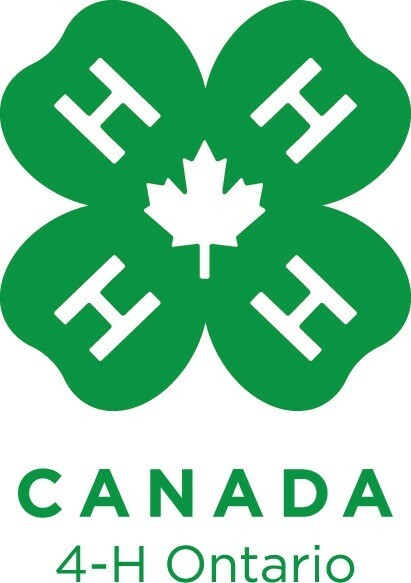 Lanark County 4-H Association is hosting our Annual Registration and Sign up night for all the Available Clubs in Lanark County. Clubs range from Dairy, Sheep, Beef, Poultry, Gardening, Maple Syrup, Cooking, Baking, Etc. For kids 9-21, Might be a Cloverbud Club for kids 6-8years old. Sign up for the 2018 year is $85, cash or Cheque only. Join us from 7-9pm March 6th at the Fergusons Falls Hall. 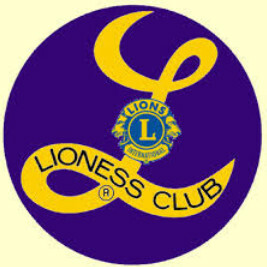 Leaders of Various Clubs will be available to Answer any questions Parents or Children may have.